Happy President’s Day guys! So, ever since I lost my MAC Strong Woman lipstick, I have been searching high and low for the perfect purple lip (extremely appropriate for spring.) 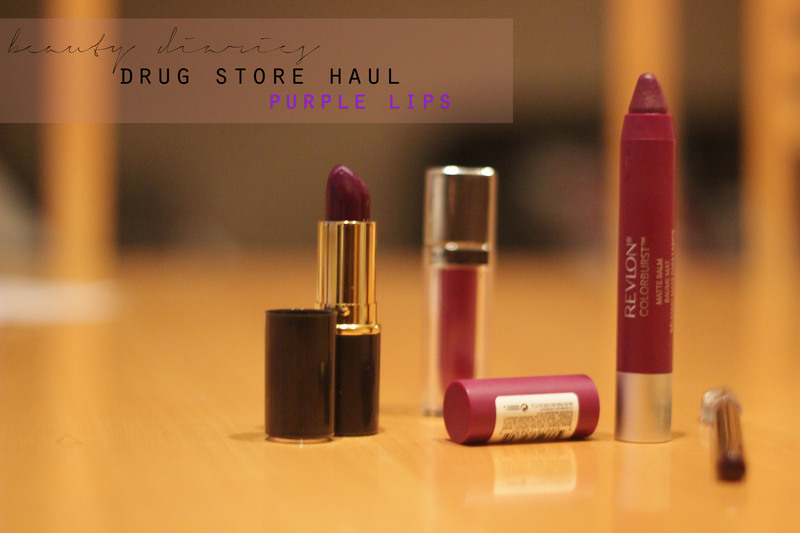 During my search I’ve accumulated a large range of products and some great drugstore finds! 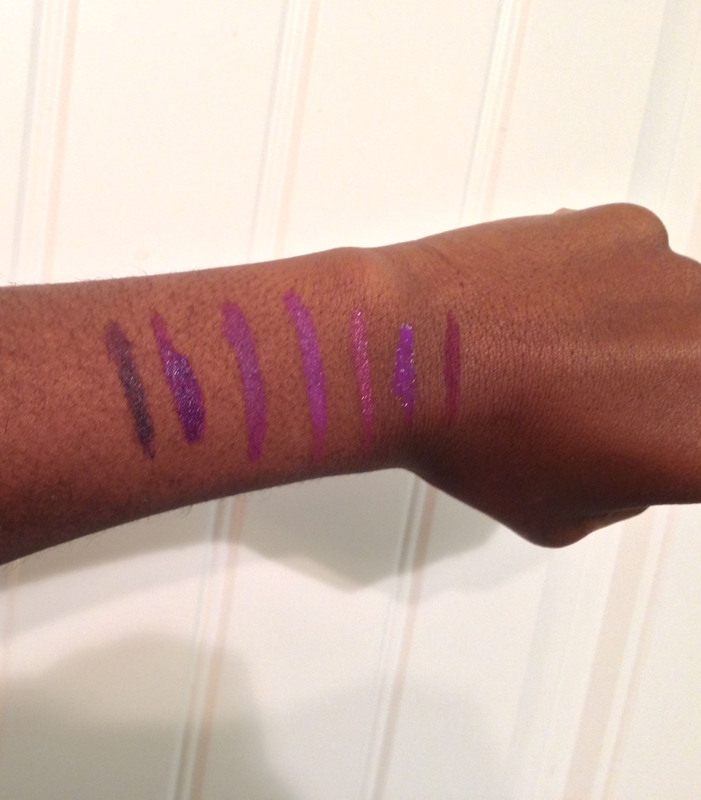 Below are swatches of some of the new colors I’ve found mixed with some of the old. 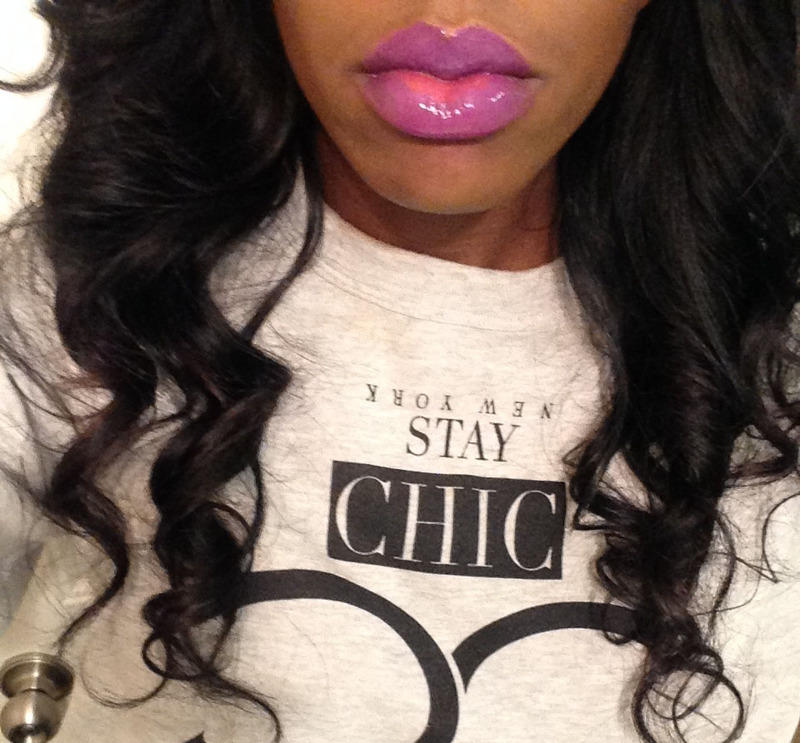 I love love love the way this lipstick looks. 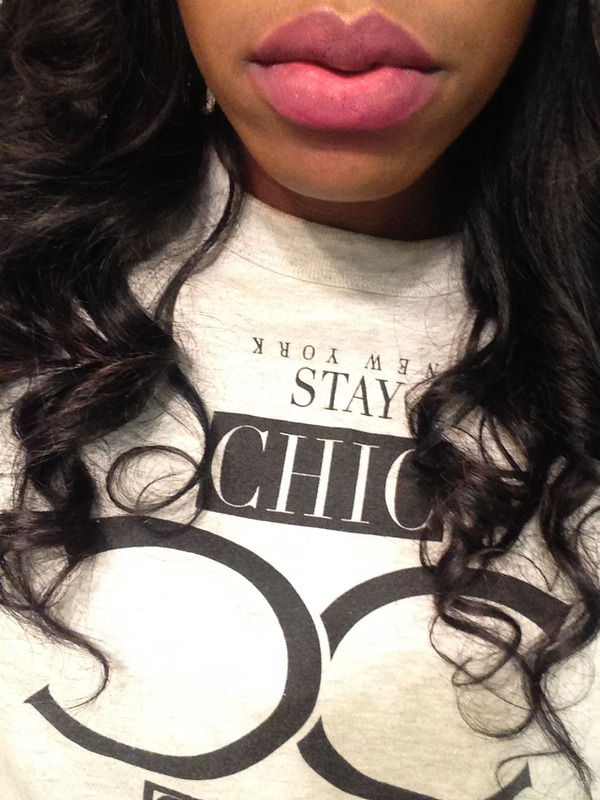 This is the lipstick plain with no liner. Its sooo pretty! 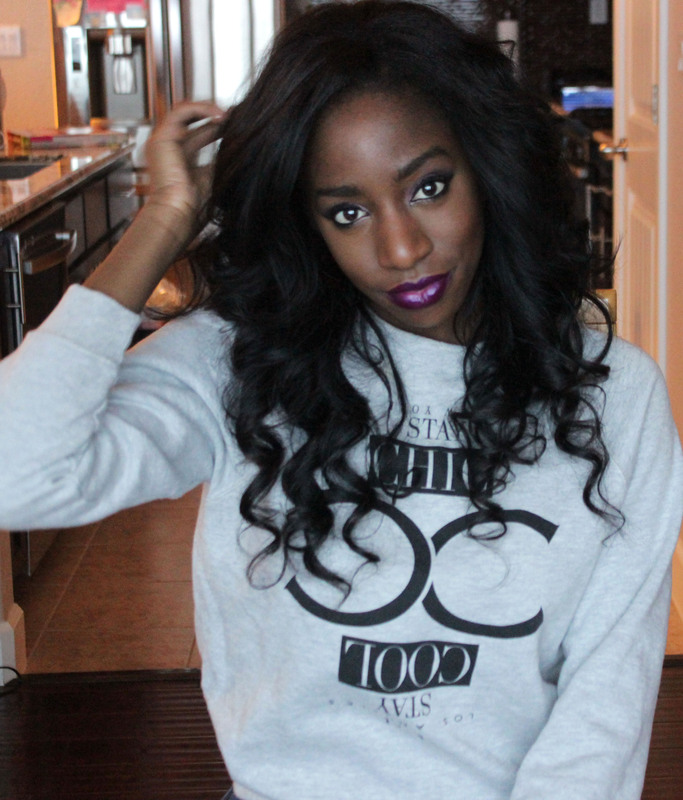 I think this is my new fave lip color. This is my second favorite: revlon color burst matte balm in shameless. 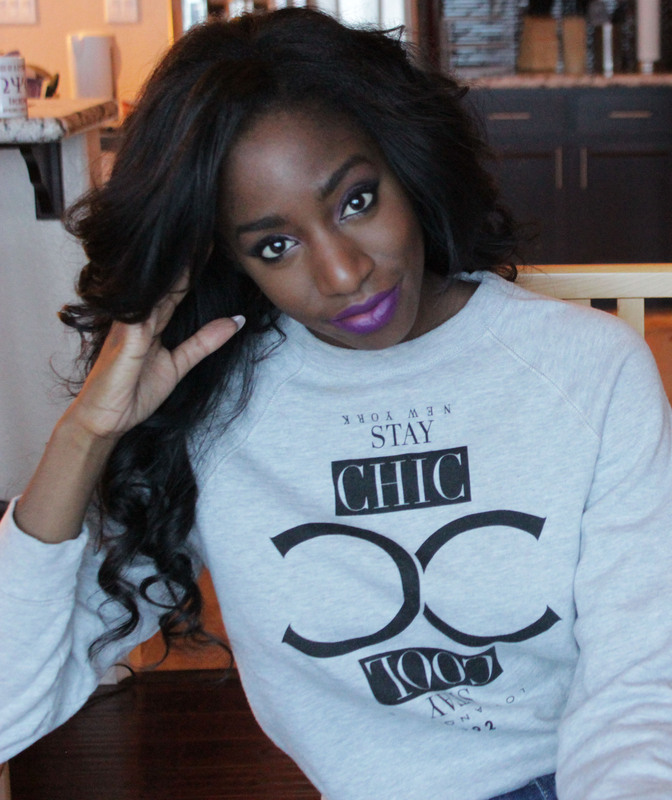 I am always a fan of a matte lip and this just might by my strong woman replacement! I’ve just recently gotten back into glosses and this one is very pretty alone or on top of another lipstick. (Maybelline Color Elixir lipgloss in Vision in Violet seen alone here) I will say though that all the reviews are true about the smell of the gloss. There is a weird “orange creamsicle” type of odor that isn’t the greatest but it eventually goes away. I really thought that the Iman lipliner would be way darker and more pigmented but it was just kinda blah. Although it’s still a pretty color, its just not what I thought it would be. I think I’ve realized that I just don’t like “lustre” kind of lipsticks. 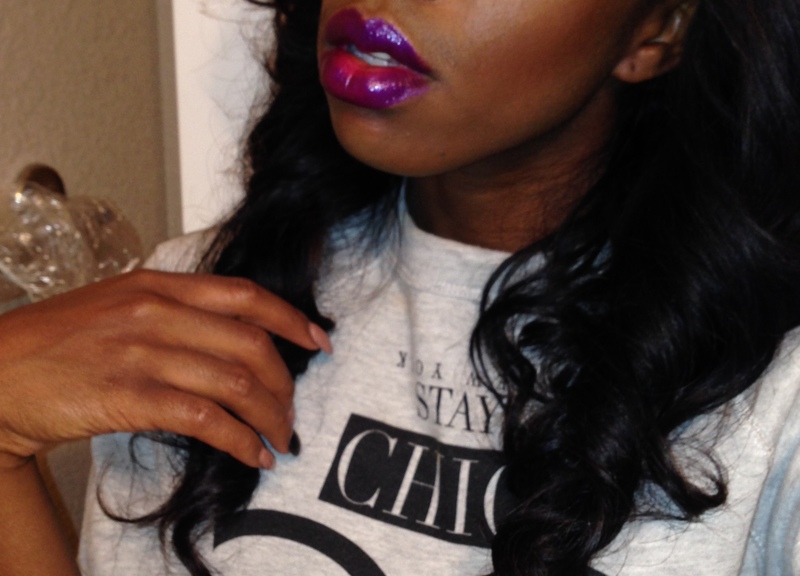 This is a MAC lipstick in Heavenly Hybrid (I know not exactly “drug store” but still timely.) I just feel like its kind of lip gloss in the form of a lipstick and I just don’t really see the point of it. And thats it. I’m kinda lovin experimenting with drug store makeup. Low cost and high reward! Have you guys purchased any drugstore makeup that you absolutely love?